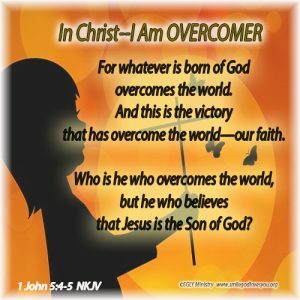 Believers are overcomers. We are born of God through Jesus Christ. Our victory is our faith in Christ. Our power is the Holy Spirit who resides within us. We have the mind of Christ and the Armor of God. We are Overcomers. Rejoice in your victory daily, fellow saints.